"Are any of you sick? You should call for the elders of the church to come and pray over you..."
This is the advice given in James 5:14 (NLT). I recently asked a group of students at church who they should call, according to this verse, if they are sick and in need of prayer. The answer is simple: the elders. 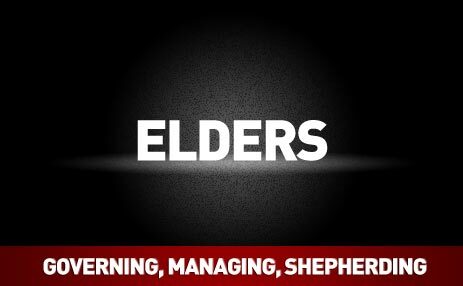 Who are the elders of our church? And frankly I can't see why they would've had an answer because most of them have never even heard the term mentioned in connection with church leadership. If the verse said "call for the pastors" then they would've known exactly who to call, but that's not what the verse says. To shed some light on who the elders are, it will be helpful to look at Acts 20:17-18, 28. Those verses say, "Now from Miletus [Paul] sent to Ephesus and called the elders of the church to come to him. And when they came to him, he said to them: '...Pay careful attention to yourselves and to all the flock, in which the Holy Spirit has made you overseers, to care for the church of the Lord, which he obtained with his own blood" (ESV). Here we have the recorded words of Paul to a group of specific people: the elders of the church in the city of Ephesus. The Greek word for "elders" is the adjective presbyteros. That's significant for this discussion because it's the same word used in James 5:14. Notice, then, what Paul says of them: they have been made "overseers" by the Holy Spirit. The Greek word for "overseers" is the noun episkopoi (plural) or episkopos (singular). It's from that word that we derive the english word "bishop." A bishop, then, is basically a superintendent who oversees the progress of a project. But there's another thing Paul says of them: they have their position in order to "care for" the church. The Greek word for "care for" (literally "shepherd") is the verb poimaino. It's from that word that we derive the english word "pastor." A person, then, is not a pastor; instead, a person pastors. Pastoring is something someone does. It involves guiding, guarding, feeding, and assisting the people of the congregation. 1) Elders are overseers (bishops) who pastor. 2) Overseers (bishops) are elders who pastor. Or, to put it another way, "[I]n the language of the New Testament the same office in the Church is called indifferently 'bishop' (episkopos) and 'elder,' or 'presbyter' (presbyteros)" . Whether the people are called elders or overseers, they are still said to perform the same dominant action: pastor the people of the congregation. How does one become an elder/bishop? That has to do with things like calling, anointing, ordaining, and appointing. More on those in a later post. For now, it's enough to know that the people many Evangelical Christian call "pastors" are in the same position as those that the New Testament variously refers to as either "elders" or "overseers." Gerald P. Cowen, professor of New Testament and Greek at Southeastern Baptist Theological Seminary, points out that, "Whenever the term elder or bishop is used in the New Testament it is used in the plural, which would [indicate] that the general practice of the churches in New Testament times was to have at least two elders [see Acts 14:23]" . That should give some bargaining power (or at least hope) to some of the pastors who are stuck having to do the all work by themselves. Try teaching on church leadership and see if you can get someone to help share the load! J.B. Lightfoot, St. Paul's Epistle to the Philippians (London: Macmillan & Co., 1913), 95. Gerald P. Cowen, Who Rules the Church? (Nashville, TN: Broadman & Holman Publishers, 2003), 14.